Fall’s almost here! And that means one thing: Pumpkin Spice. But, of course, pumpkin spice isn’t the only flavor coming back this fall. 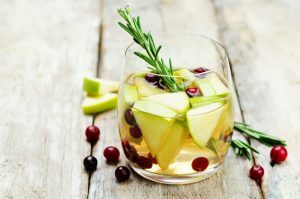 We’ve compiled a list of fall 2018 flavor trends sure to line the shelves this season. 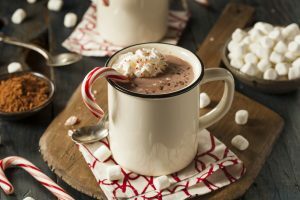 Maple flavoring appeared in some fall beverages and sweets over the last few years. However, we expect the flavor to reach a new peak this season. 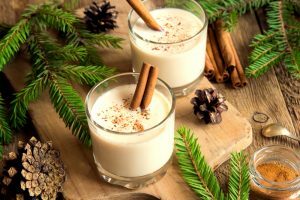 While maple will continue to sweeten warm drinks, we also expect it to pair with adult beverages like bourbon and whiskey. 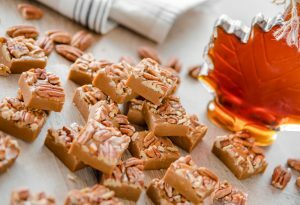 The richness of the maple pulls out the deep flavors gained from the barrels during the distilling process. 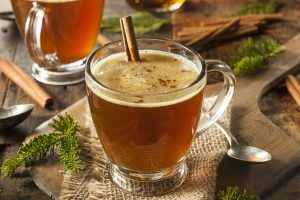 Additionally, the sweetness of maple softens the bite of the alcohol, making it an ideal addition to fall and winter cocktails. Brown butter brings a savory twist to any dish that calls for butter. Simply heat regular butter just past its melting point. This turns the butter a brown, toasted color. Additionally, the heating process releases a nutty flavor you won’t get from regular butter. 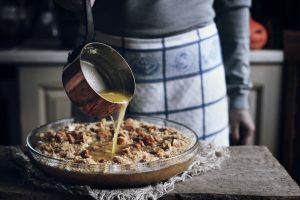 Brown butter pairs especially well with dishes already containing pecans and hazelnuts, like various breads or baked goods. We expect to see a rise in the use of the orange’s flavor this fall. Orange can be used in so many different ways. This makes it a very versatile flavor, with uses from baked goods to beverages to savory pasta dishes. 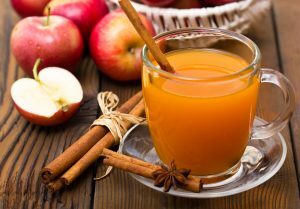 Orange pairs especially well with cinnamon and other spices making it a great addition to spicy dishes that will keep you warm this fall. 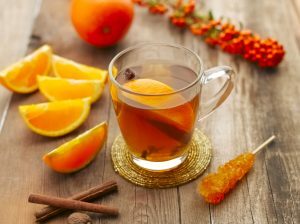 Finally, orange will be an increasingly popular flavor for fall beers, cocktails and teas. There’s no doubt that Pumpkin Spice’s reign will continue. Still, keep an eye out for these fall flavors this season. Don’t be afraid to get creative and add them to your own dishes! Football season is here, which means Christmas has come early for football fans. Besides the actual sport, fans unite over something else — tailgating. Tailgating brings the food, fun, and fellowship right before the competition gets heated. If you’re planning an ultimate tailgate party, here’s the menu you need to make sure everyone’s having a great time. Get the party started with this simple dish. 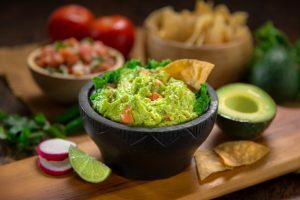 Guacamole is a natural classic for any tailgate and the perfect appetizer for your tailgate party. Serve this party favorite with some salty chips, and you’ll have your guests begging for more. Not a guacamole fan? Try mixing it up with some of Market Table‘s freshly made dips, like our Hot Bacon and Swiss dip or guacamole’s dear friend, Texas Caviar. Meat lovers rejoice! 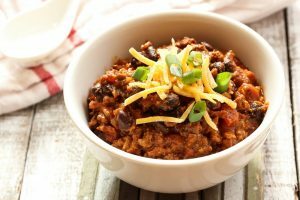 This hearty bowl of chili will warm you up on those fall Saturday afternoons. This recipe comes from Chrissy Teigen’s cookbook, Cravings. If a celebrity-made dish isn’t enough for you, then your guests’ appetites will speak for itself. Compliment your meaty chili with this tasty veggie dish. This corn is brushed with a smoky chipotle spread. 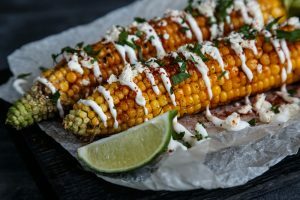 After coming off the grill, it’s topped with crumbled cheese, cayenne, and a squeeze of fresh lime juice. This dish will make you feel like you’re on the streets of Mexico. No tailgate is complete without a tasty dessert. 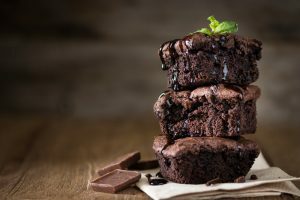 When chocolate brownies aren’t enough, whip out a recipe with three times the chocolatey goodness. It’ll be sure to please even the biggest sweet tooth. Set these out for your guests and watch them get devoured. 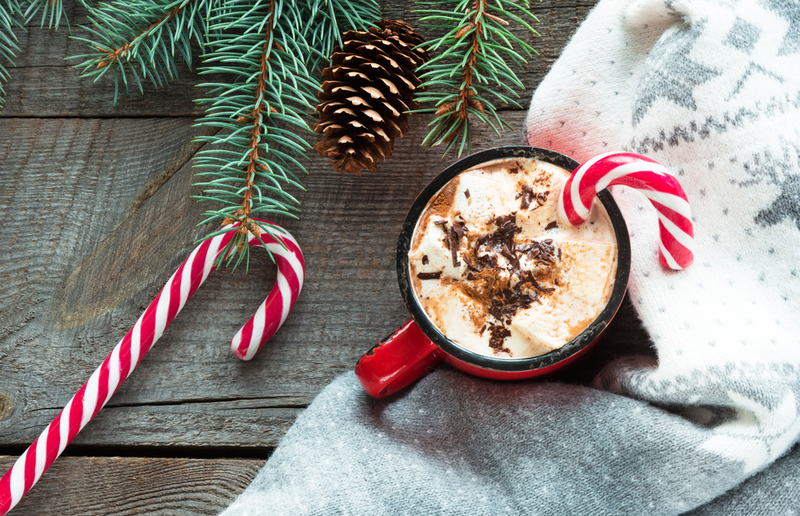 You’re going to need something to wash down all this delicious food, right? 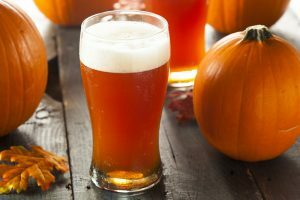 Try this Pumpkin Beer Cocktail that screams fall weather. Instead of the normal cans of beer, this is a perfect seasonal twist to any tailgating party. Looking for something to replace the classic margarita this summer? 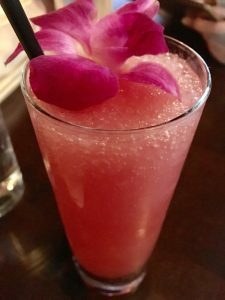 Want to go beyond the average strawberry daiquiri? 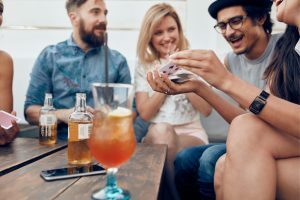 These five cocktails are the perfect fix to spice up your life while keeping you cool this summer. Are you a fan of Sour Patch Watermelons? If so, this is the drink for you. 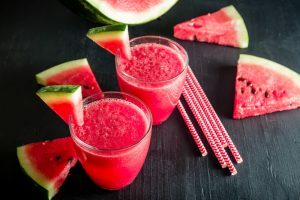 With the mixture of Sour Patch Watermelons soaked in vodka, lemonade and sprite, these booze-filled slushies are sure to be a hit at your next cookout. 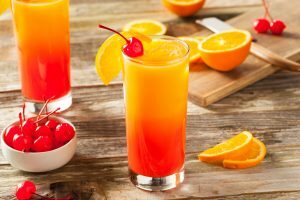 This sunset-themed drink puts a spin on the classic Tequila Sunrise with a little bit of rum. The beautiful combination of lime garnishes and an orange juice mixture will make you feel like you’re looking at a sunset. By adding blackberries to the mix, this sweet yet tarty drink adds a fruitful twist to your average mojito. 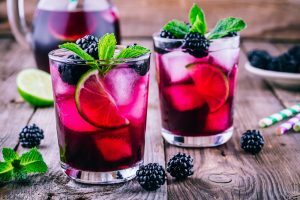 The extra step required of this drink is to muddle blackberries in a bowl and add them on top of your mojito at the end. 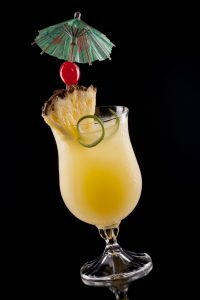 A fan favorite, Bahama Mamas are a must have this summer. The mixture of various tropical juices and flavored rums will make you feel like you’re in paradise in the comfort of your own backyard. This frozen strawberry drink is sure to be your go-to for the summer. Blending rosé, strawberries, vodka and ice, this slushy is sure to keep you cool and hydrated while lounging out by the pool. 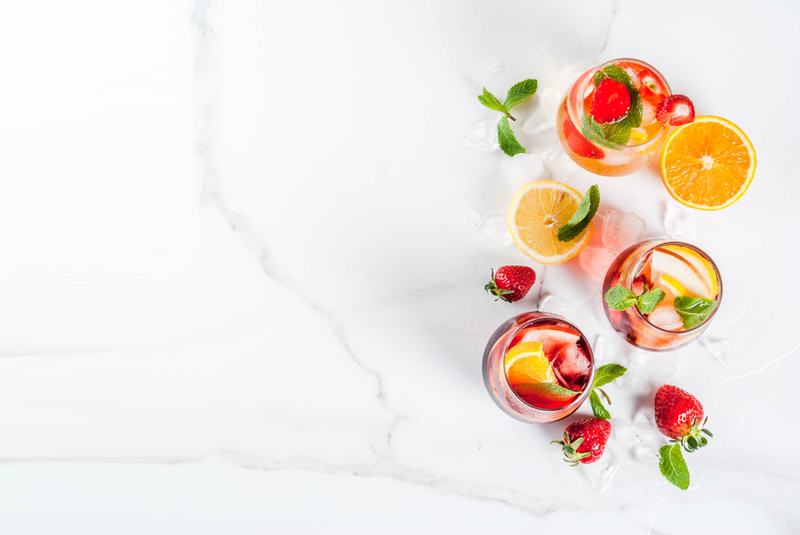 With these delicious cocktails, there’s no need to resort to your average wine coolers this summer. Keep cool and relaxed this summer with these quick-and-easy cocktail recipes. They are sure to be a hit at your cookouts or by the pool. 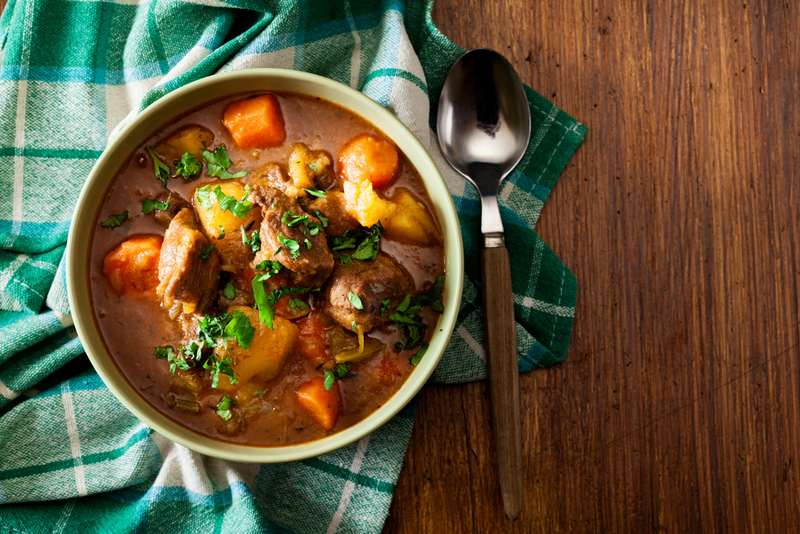 With St. Patrick’s Day just around the corner, it’s a great time to try some Irish cuisine. 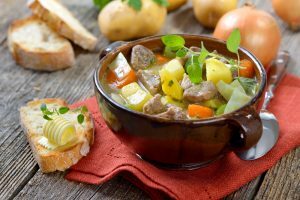 Most Irish foods rely heavily on potatoes and hearty meats, so there are sure to be some comfort foods that everyone in your family will love. 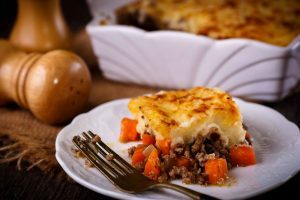 A traditional shepherd’s pie is made with minced lamb or mutton, vegetables and mashed potato. However, when the dish originated, the meat was often whatever leftovers were available to scrounge together. Shepherd’s Pie was created to be economical and was known as a poor man’s dish. It has now become a staple in Irish cuisine and its popularity has spread across the globe. Try Gordon Ramsay’s recipe for a traditional shepherd’s pie. This traditional bread is also known as speckled bread because it’s filled with raisins. 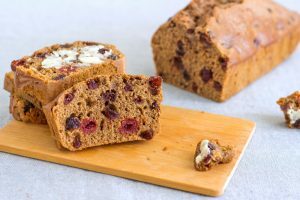 Barmbrack is sweet and is commonly served with coffee. There’s a fun tradition that goes along with Barmbrack if it’s served on Halloween. The bread has a hidden pea, stick, cloth, coin and ring. Each item has a meaning assigned to it. For instance, if you get the slice of Barmbrack with a ring in it, then it means that you’ll be married within the year. Colcannon is a mashed potato dish with kale or cabbage mixed into it, and it’s often then served with boiled ham. There’s even a traditional Irish song dedicated to Colcannon because it’s a common comfort food in Ireland. 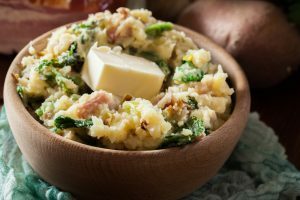 Colcannon is also a part of Irish Halloween traditions, where it’s common to hide a ring, thimble or coin in the dish. Whoever finds the prizes gets to keep them. The Great Famine hit Ireland in 1845, which caused for a lot of Irish recipes to use all parts of the animals in their meals. There are several recipes that call for pig’s blood, pig’s feet or kidneys. While it was common during the famine to use all parts of the pig, most Coddle recipes today just include sausage, bacon and potato. Coddle can include barley and Guinness, but this also isn’t as common anymore. In 1990, an Irish man, John Lucey, set out to create a new cheese. 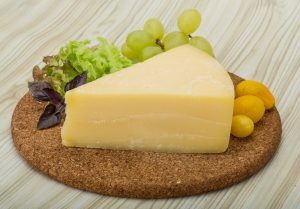 When Lucey originally created the cheese, he named it “Aralgen.” It’s described as having the sharpness of a mature cheddar with the sweetness of parmigiano. In 1994, Dubliner earned its new name as commercial production began. It’s common to include Dubliner on a cheese board or use it to make grilled cheese sandwiches. 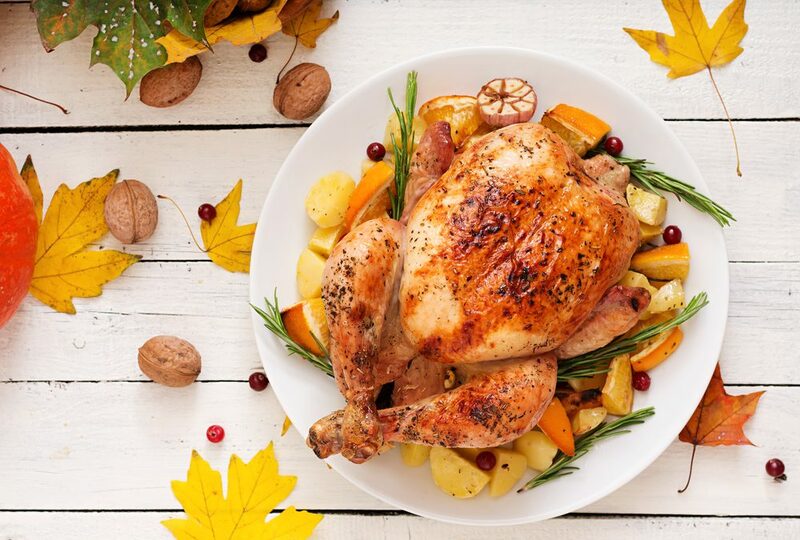 While not everyone is brave enough to try a traditional Irish dish like Skirts and Kidneys, there are several tamer options for those of us looking to eat conventional meat options. No one can deny that a meal of mashed potatoes, sausage and beer sounds delicious, so try making your own version of an Irish classic to celebrate St. Patrick’s day with a good hearty meal. Let’s be honest: the best thing about the Super Bowl has nothing to do with sports. 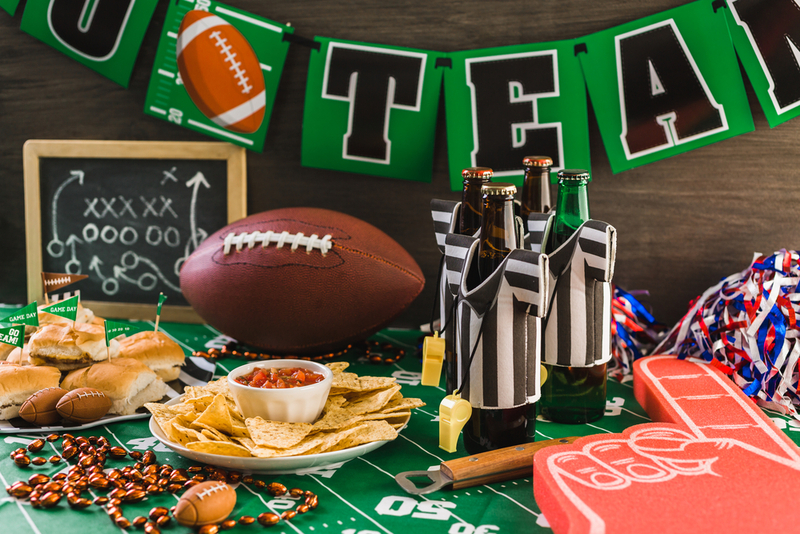 Football’s just an excuse to eat and drink with our friends while the game plays in the background. 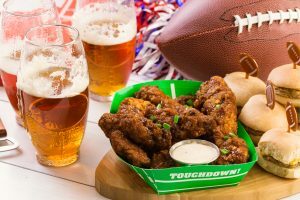 Here are a few tips for throwing the perfect viewing party for football fans and food fans alike. If your party is rooting for a particular team, feel free to decorate with your team’s colors and logos. You can also make impartial Super Bowl decorations. For instance, a green plastic table cloth and masking tape can transform your tabletop into a football field. 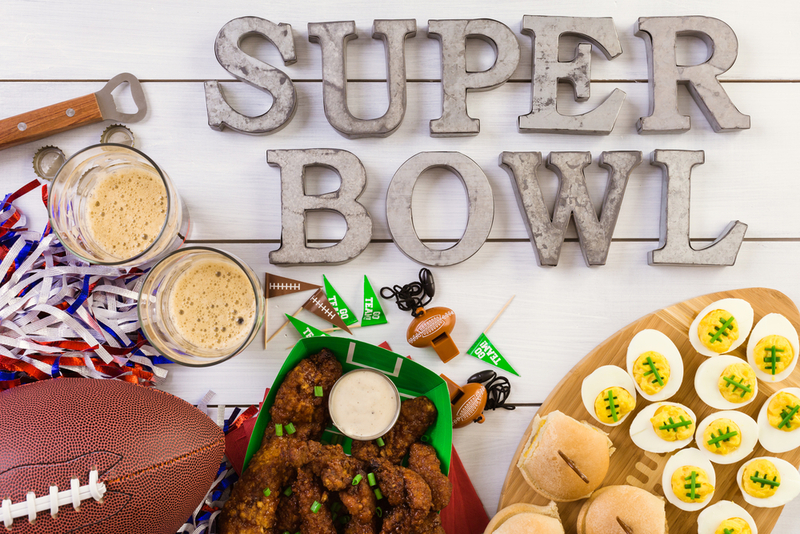 To stay in line with your Super Bowl decorations, you can paint mason jars to look like footballs so that your guest can gulp down a glass of team spirit. 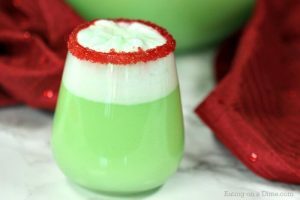 And speaking of spirits, why not stir up a themed cocktail? Or you can give your game day brew Super Bowl Sunday superpowers with a beer-margarita or lime and beer cocktail. Don’t Say It is a Super-Bowl-party-perfect game that doesn’t require a wealth of knowledge about football. To play, give each of your guests a plastic whistle at the beginning of the party. Choose a word or phrase that is taboo, and, if you can catch someone saying the word, you get to take their whistle. Whoever has the most whistles at the end wins. There are also games centered around the Super Bowl itself. You can place bets on how many touchdowns are scored, guess which commercials will air or what songs are on the set for halftime. Also, these printable Super Bowl bingo cards will help get all of your guests in the game — even if they’re not into football games. 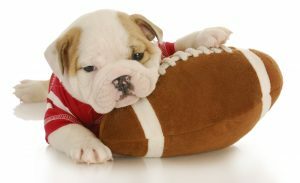 If you get tired of football, screen the Puppy Bowl in another room so that guests can walk away for a puppy break without interrupting the football fans in the other room. You can place bets on the Puppy Bowl, like how many times the referee has to call a time-out for a clean up on the field or which puppy gets MVP. Want to keep the kids entertained? Print these precious Puppy Bowl Trading Cards, or make a card for your own pup. The best part of this game day pick-me-up is that all of the puppies featured are rescues that are ready to be adopted. Ultimately, the game of throwing the best party is really about serving the best food. If you don’t want to spend hours in the kitchen, Market Table has some Super Bowl specials that are sure to be crowd-pleasers. 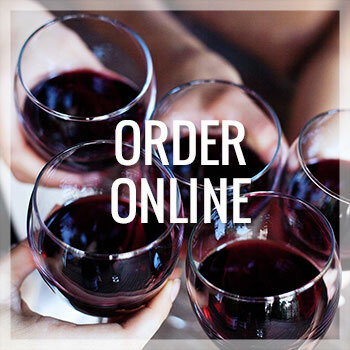 We offer buffalo chicken dip, wings and burgers, not to mention wine and beer. 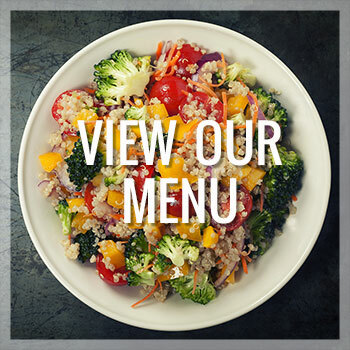 Looking for something a little more hearty? 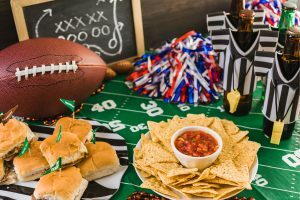 Our catering menu offers sliders, sandwich trays, hors d’oeuvres and desserts sure to make your guests cheer, no matter the score.